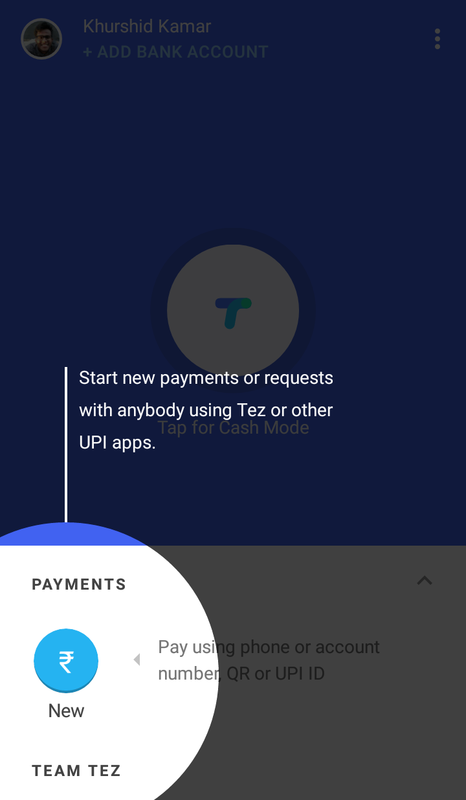 Tez, a UPI-enabled payment service was launched by Google on Monday (18 Sep,2017) in India thus marking Google’s entry into the fast growing digital payments space to compete against popular digital payments services like Paytm, PhonPe, and Freecharge. The service has already made a promising start with more than 400,000 active users registered to the app who made transactions worth Rs 1.8 crore in just 20 hours of its launch. 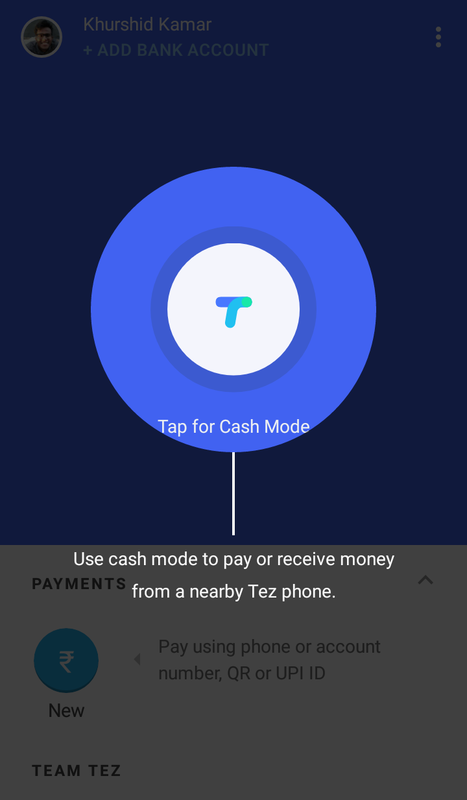 Tez is not like the regular mobile wallet apps, such as Paytm. With the help of Tez, transactions are directly debited from the bank account itself. The bank also should support UPI (United Payments Interface). In India, more than 50 banks support UPI. The app can be opened using a screen lock or a Google PIN. 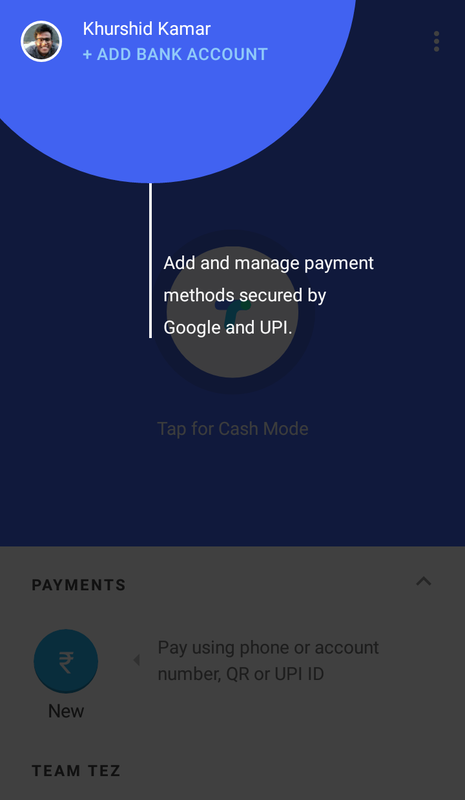 To complete transactions, a UPI Pin is also required. More than one bank account can be added to Tez. And each bank account will have a separate UPI Pin. Currently users can send a maximum of Rs. 50,000 from the app. 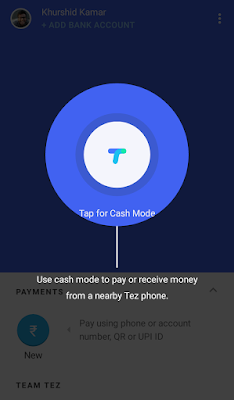 A special “Cash Mode” exists in Tez which enables a user to make transactions without the exchange of personal information like bank account number or phone number. This is made possible with the help of Audio QR technology. You just need to bring the phones together to make the transaction possible. Besides “cash mode"”, payments can also be done using QR codes, or phone number or account number. Tez comes with Tez Shield which provides the required security to the users. Tez Shield works 24/7 to prevent unauthorized use. 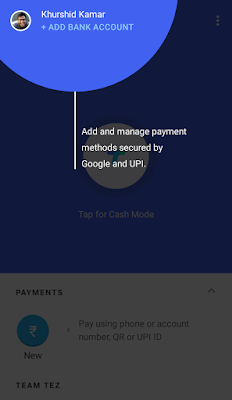 Transactions are secured using UPI pins and the app is protected using Google PINs or screen lock methods. And there is a 24/7 customer support to assist you if anything goes wrong. Along with English, Tez supports many Indian languages too. 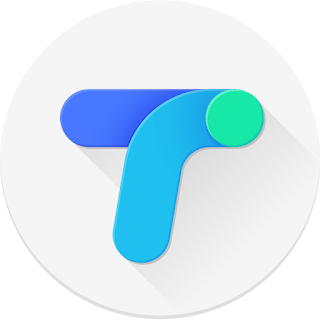 Tez is available for both Android and iOS. Tez provides businesses other features to promote their business. They can start Tez channels through which they can promote their business without the need of their own apps. You can also earn scratch cards to win exciting prices!